The Somerset market town of Frome is to get its first dedicated wine bar and shop this month with the opening of Stony Street House. Located on the corner of Palmer Street and Catherine Hill in the centre of town, Stony Street House will offer 350 wines to drink in or takeaway as well as coffee, small plates and pizza. There will be a strong focus on French, Spanish and Italian wines but also plenty of New World wines and English wines too. Sarah Helliwell MS, is head of wine, has also ensured many are from sustainable, organic and biodynamic producers. As well as the bottled wines, there will be 10 wines on tap supplied by Uncharted Wines which will be offered by the glass and carafe and customers will also be able to bring in their own containers for refills too. Stony Street House aims to have strong green credentials with no single use plastic on site and zero-food waste as well as discounts for customers who bring in their own coffee cups. It will also work closely with local suppliers for its food and wine including: La Chasse, Yapp Brothers (hence the strong Mediterranean selection), Dusty Ape and Rupert’s Eggs. The whole concept is the brainchild of Kent Barker, an industry veteran who has previously worked at Bibendum, Enotria and Jascots among other enterprises and who was also behind the nearby Beckford Bottle Shop. 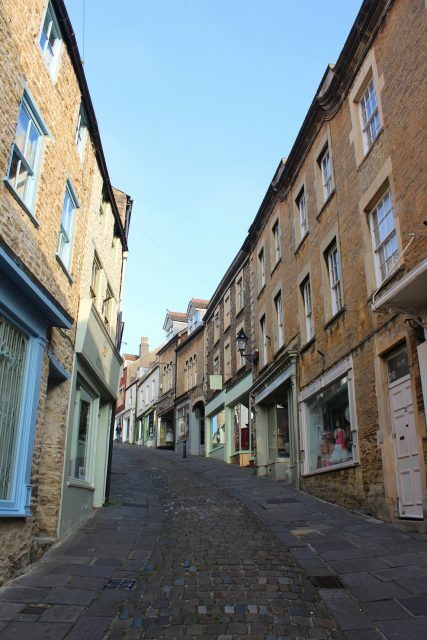 He said: “Currently there is no sole wine shop or wine bar in Frome. Therefore, a large proportion of the population is not catered to. We want to bring knowledge and breadth of wine with an independent business that is in keeping with the town and in keeping with what locals and visitors love about Frome.